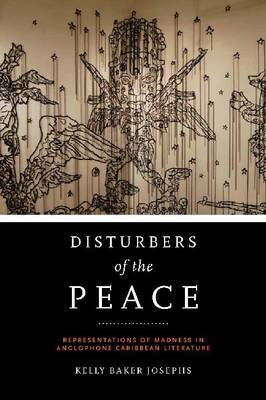 We congratulate Kelly Baker Josephs for her new book, Disturbers of the Peace: Representations of Madness in Anglophone Caribbean Literature (University of Virginia Press, 2013). Description: Exploring the prevalence of madness in Caribbean texts written in English in the mid-twentieth century, Kelly Baker Josephs focuses on celebrated writers such as Jean Rhys, V. S. Naipaul, and Derek Walcott as well as on understudied writers such as Sylvia Wynter and Erna Brodber. Because mad figures appear frequently in Caribbean literature from French, Spanish, and English traditions—in roles ranging from bit parts to first-person narrators—the author regards madness as a part of the West Indian literary aesthetic. The relatively condensed decolonization of the anglophone islands during the 1960s and 1970s, she argues, makes literature written in English during this time especially rich for an examination of the function of madness in literary critiques of colonialism and in the Caribbean project of nation-making. In drawing connections between madness and literature, gender, and religion, this book speaks not only to the field of Caribbean studies but also to colonial and postcolonial literature in general. The volume closes with a study of twenty- first-century literature of the Caribbean diaspora, demonstrating that Caribbean writers still turn to representations of madness to depict their changing worlds.